I think its important to explain here that Lorrie Flem is not a regular “Suzy Homemaker,” as some may call it. Lorrie was the oldest of four children, however, she did not really have a lot of responsibility around the house. Her mother did most of the housework by herself. It wasn’t until after Lorrie was married that she realized a change needed to be made in the way she managed her home. Apparently, she and her husband were visited by police officers one night after hearing a noise in the house, and the officers thought an intruder had “destroyed” the living room. It turns out, the living room was in its normal chaotic state. This was a big eye opener for Lorrie, and she began learning how to make her home more presentable. She also had to learn how to keep it that way without much effort. In this session, Lorrie shares 7 teachings on how to manage a home. 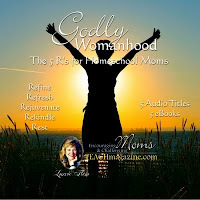 In SESSION 4 of this “Godly Womanhood” bundle, I had to laugh when I heard Lorrie tell of a young father licking mustard off his hand only to find out it was not mustard, but a need for his baby’s diaper change! Ewwww! It makes it all the more funny when I remember a similar event that happened to my husband when HE was a new father. He was holding our baby daughter and noticed the “mustard” on his hand as well, then ran disgustingly to the bathroom to wash up after realizing what it really was. Ha ha! I love that story! At least he didn’t lick it off, like the first guy. But, to move on, this story from Lorrie was told to represent how life brings us unexpected surprises while raising kids. Then, she goes on to explain how RAISING a child is not the same as TRAINING a child, and how the number one problem that comes up in child training is inconsistency. Training children involves a commitment of our time and efforts. In this session, Lorrie touches on several areas of Biblical child training and discipline. It is all very good food for thought. 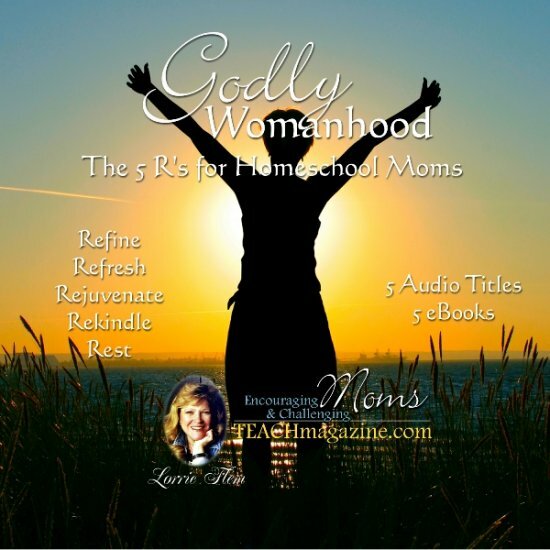 To learn more about “The Five R’s for Godly Womanhood,” or to purchase the full bundle for $24.97, visit the PRODUCT INFORMATION page of Eternal Encouragement Magazine. And, if you didn't already know, I received The 5 R’s to Godly Womanhood as an official member of The Gabby Moms blogging program. I did not receive compensation for this post and all opinions are solely my own. If YOU have a blog of your own, and are interested in joining the 2012 Gabby Moms team, please take a look at this APPLICATION PAGE to read more about the program and/or to apply. but seriously, the reading sounds really good--thanks for sharing about it! Great review of a great product! Very nice review. Lorrie's products are blessings. 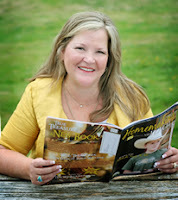 I love how you pointed out that Lorrie comes from the trenches and not the pedestal! Thanks for sharing your review. hahaha...yes, 2 very funny stories indeed!